Last Crusade begins with River Phoenix playing a young Indiana Jones, even at a young age, having a thirst for adventure. His father (Connery), who is also professor of Medieval literature, is acutely obsessed with tracking down any information he can get regarding the whereabouts of the legendary Holy Grail, the cup used by Jesus at the Last Supper, and, as a result, little attention is paid to young Indy. Flash forward to 1938, where Indiana (Harrison Ford) finds that his father has been kidnapped by the Nazis, who are also looking for the Holy Grail, and the legendary powers of immortality it may hold. 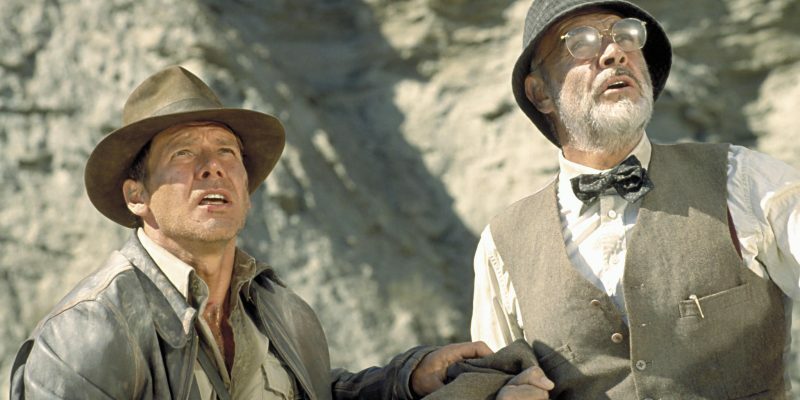 Indy and his dad have never quite seen eye to eye, which makes Indiana’s subsequent rescue attempts all the more interesting, as he tries to impress a man who only lives for the Grail. Steven Spielberg directs, with another memorable John Williams score in what was intended to be the iconic character’s final cinematic adventure.